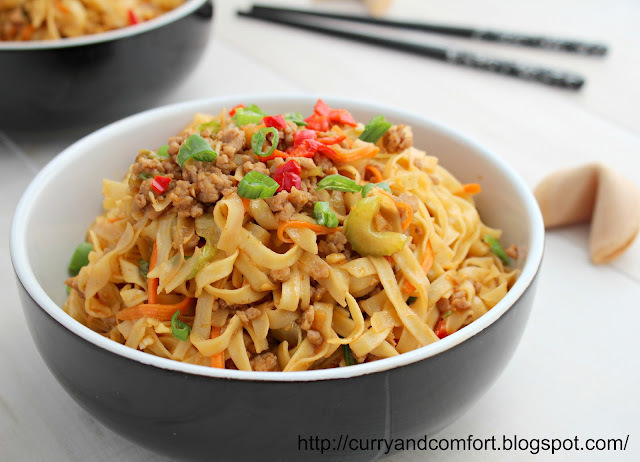 I love easy one pot dishes and noodles or pasta are at the top of the list. 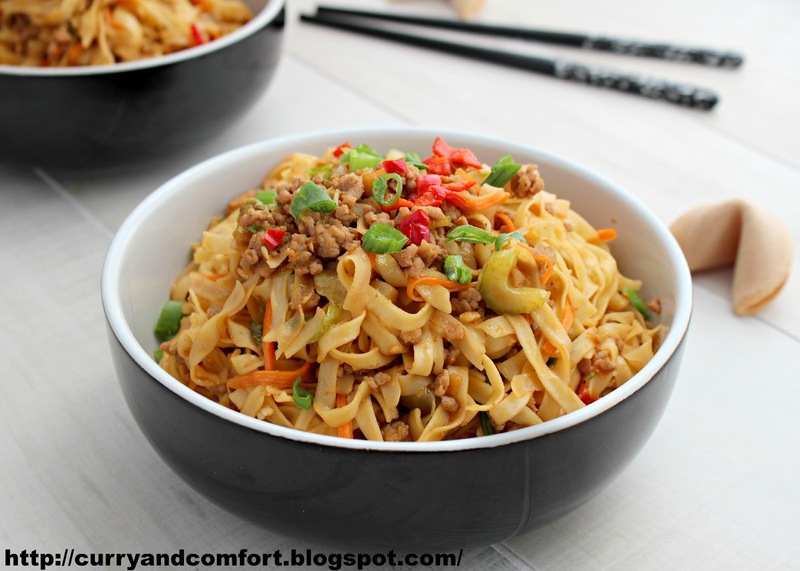 Asian dishes are also a family favorite so putting the two together usually makes a major win at the dinner table. I love walking through my Asian supermarket and looking at all the types of Asian Noodles they have. They have an entire aisle (both sides) dedicated to noodles from all the Asian countries. I love the variety from wheat flour, rice flour, mung bean, sweet potato and the list goes on. 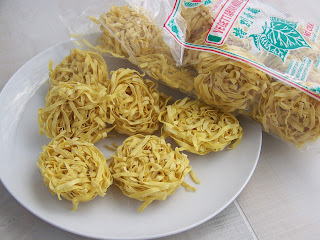 I found these lovely lo mein style nests during one of my visits and knew I had to give them a try. I am glad I experimented with them because they were fantastic. I went right back out to the store a few days later and bought another packet to cook again soon. 12-16oz noodles (lo mein, spaghetti, linguine) prepared per packet instructions. Cook noodles according to package instructions. Drain and keep until later. Prep all vegetables and have ready for stir fry. 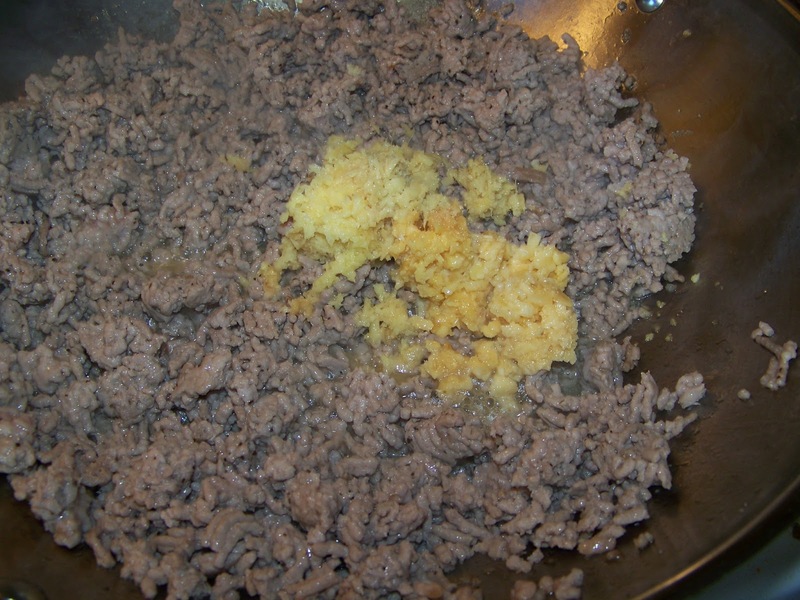 Heat 2Tbs of canola oil in large wok and brown ground pork. Add grated ginger, garlic, salt and pepper. 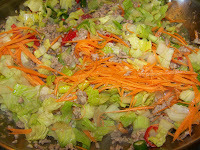 Then add all the prepared vegetables and saute for several minutes until desired texture. 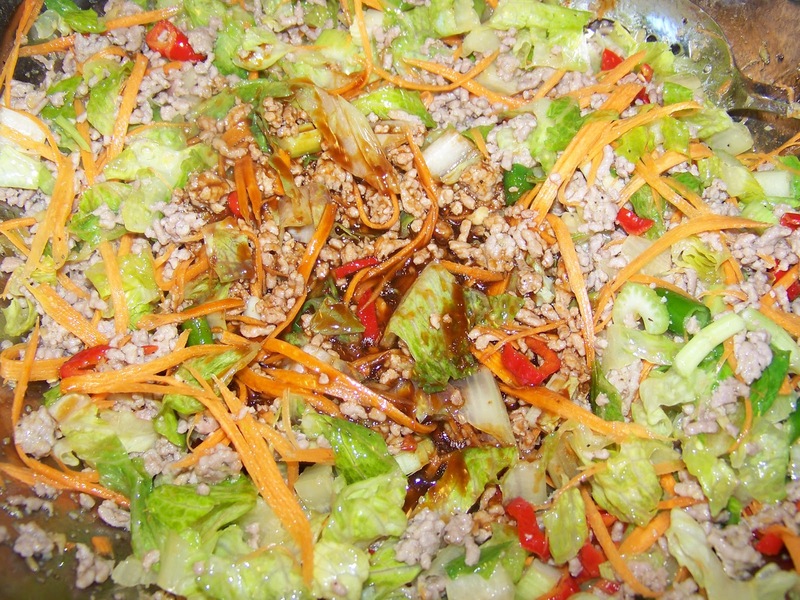 Then add prepared sauce and mix well. Finally add cooked noodles and toss well with all ingredients. Taste for seasoning. Add more soy sauce for salt flavor as desired. Top with green onions slices as a garnish. Enjoy. I live for one pot meals. I don't cook with ground pork nearly enough. This looks great! This looks like MY kind of dish. I really like the ground pork in this dish. Yummy. another winner! Oh my gosh. I want to just flop my entire face in that dish. It looks so good. And the ingredient list. Geez, can you hear my stomach growling! This is a perfect meal for me. One pot, not too complicated and doesn't take forever to make. I love it. I've been cooking noodles lately because it's quick and kids love it. 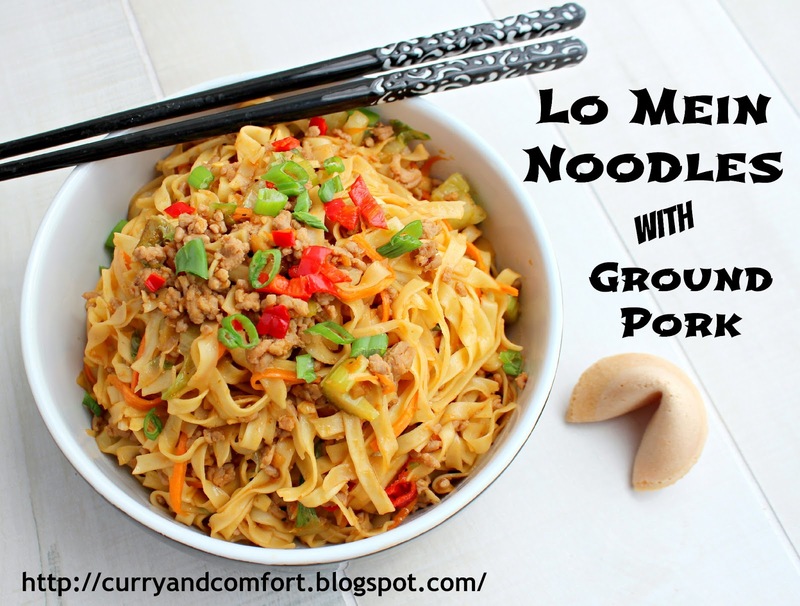 Your lo mein noodles look perfect for my family needs! YUM! 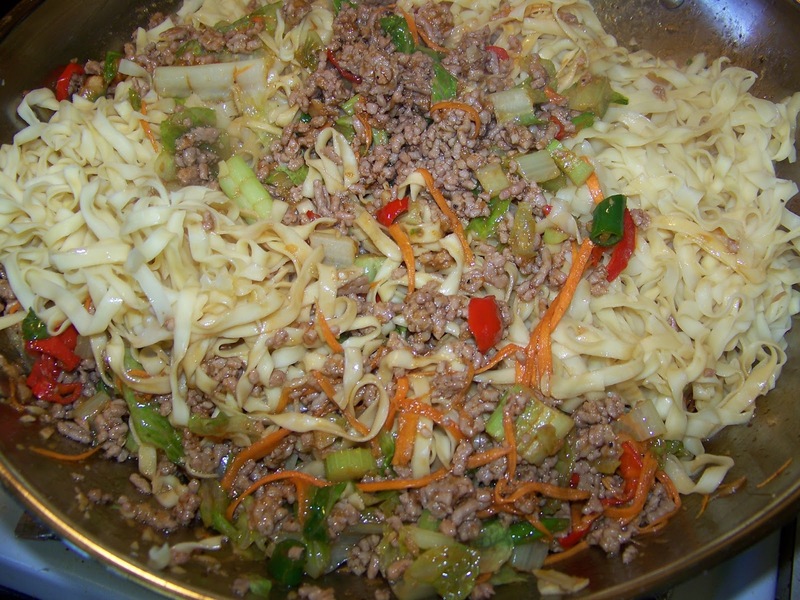 I adore lo mein noodles, but have never tried making them. We have a huge Asian market here, I need to check out what noodles they have because my grocery store stinks! I so desperately want a bowl of this right now. Alas it is 11pm and I am not getting up to cook, but it will happen. Soon and very soon. Kudos to another fabulous recipe. I've seen those little rounds of noodles at the Asian market, but have never bought them. Guess I need to pick them up next. These look quite yummy! Quick, easy and delicious always works for me!